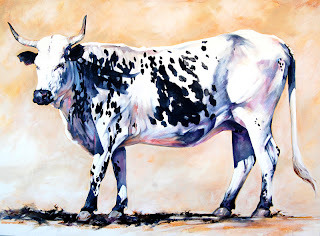 Just completed "Tri Colour Nguni Bull". 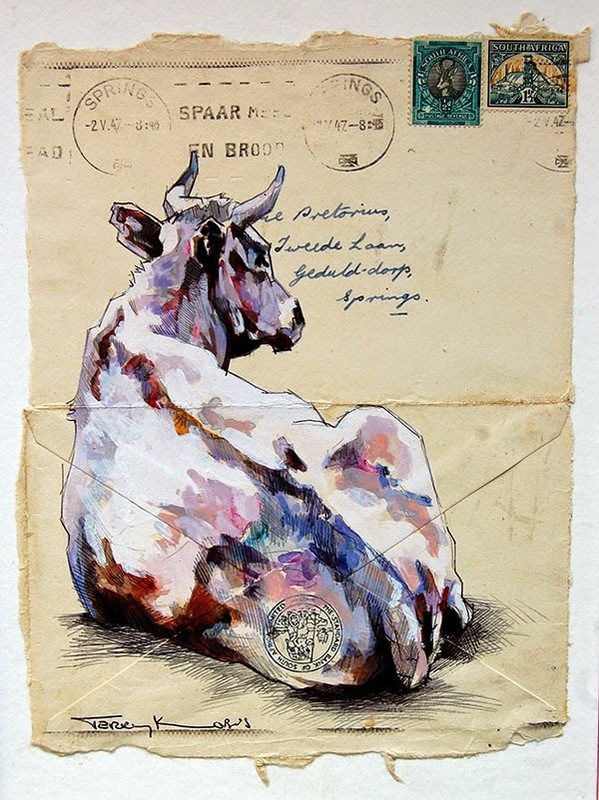 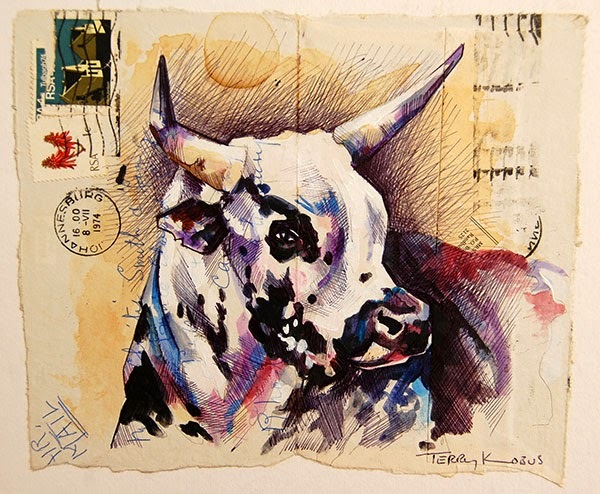 "Tri Colour Nguni Bull - Kalahari"
2014 Solo Exhibition - "Pushing the Envelope"
Two of my latest paintings of Nguni Cattle. 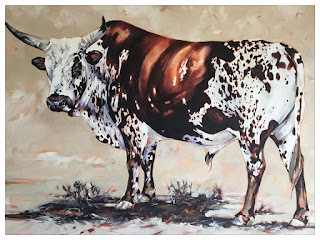 From my studio this is my latest large Nguni Bull painting. 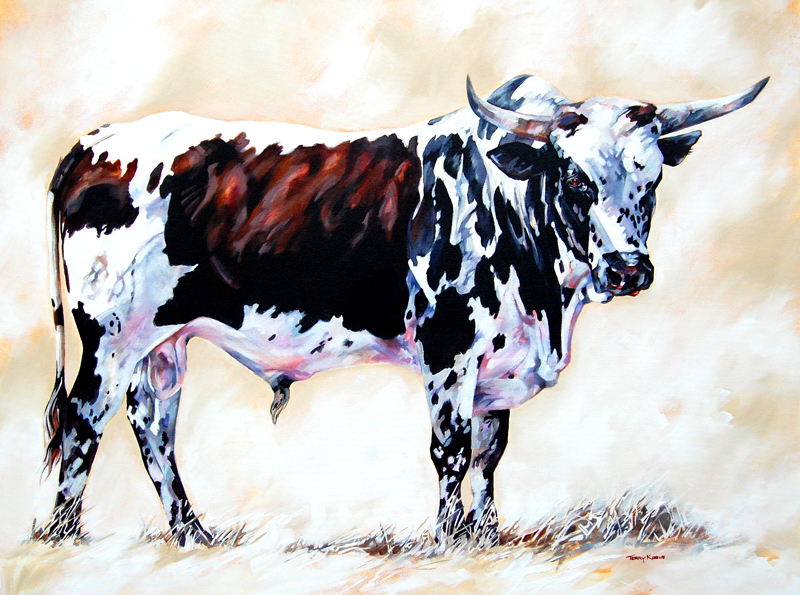 My first large Nguni Painting for 2014. 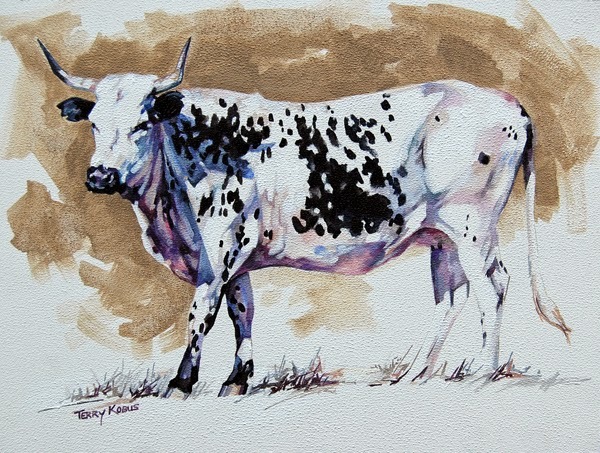 An exquisite black and white dappled bull. 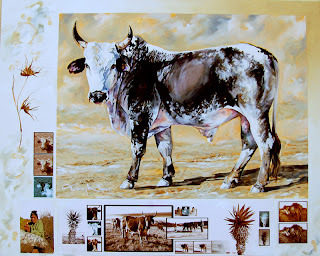 Oil on canvas 1000 x 1250mm. 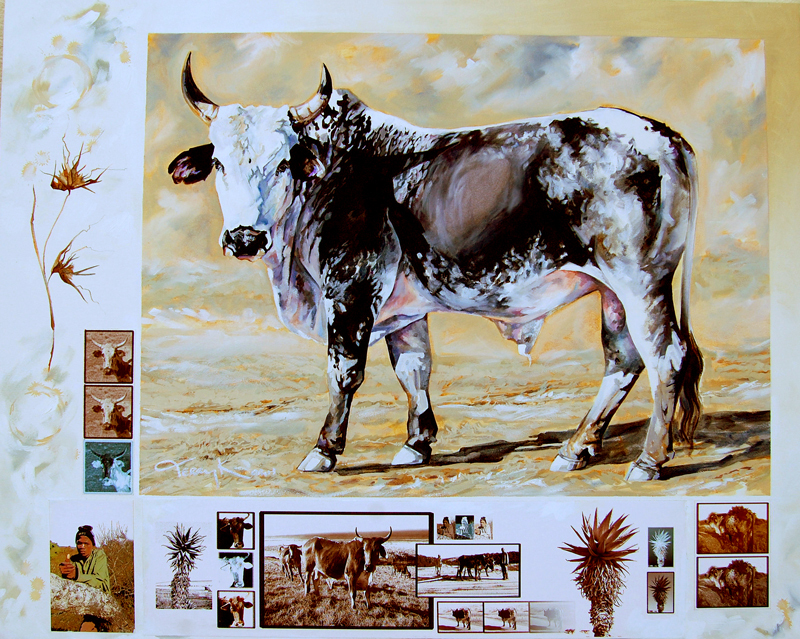 Tribute painting to Madiba - "Leader of the herd"
My tribute to the legacy of Nelson Mandela painted 06 December 2013. 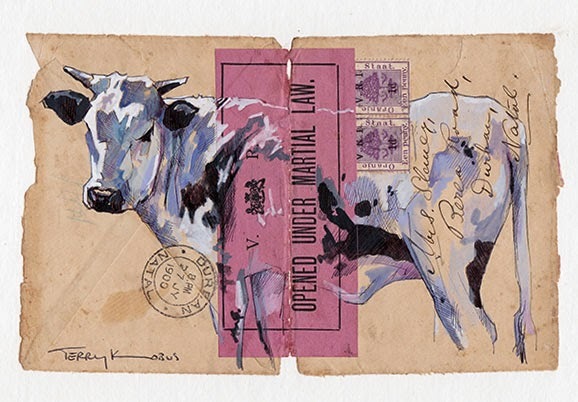 “Legends don't have to make sense. 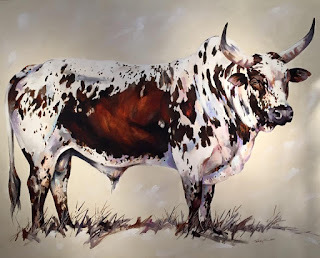 They just have to be beautiful." 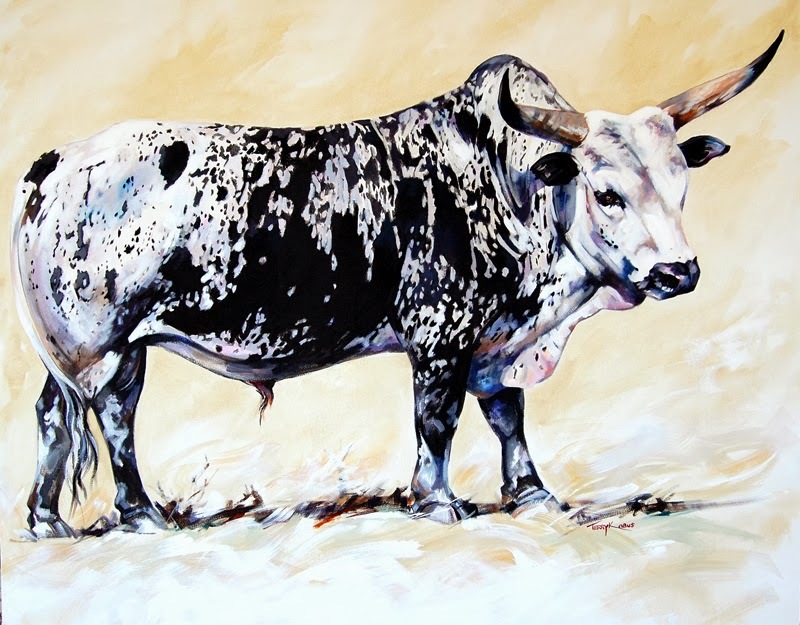 Large Nguni Bull painting available, just completed! Just completed a large Nguni Bull painting. 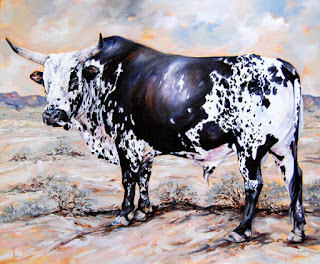 1300 x 1000 mm Oil on Canvas. 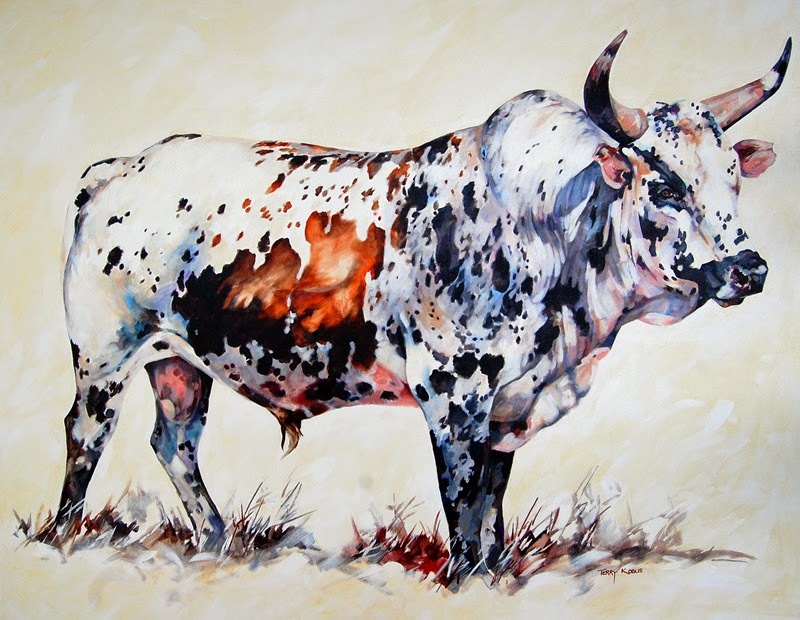 This spectacular spotted beast was challenging but wonderful to paint! 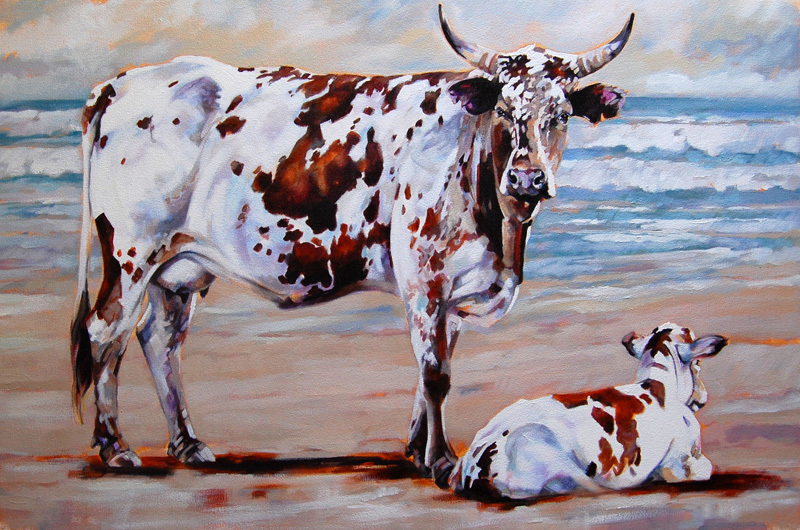 One of the unique sights on the Transkei coastline is the Indigenous Nguni Cattle on the beach. 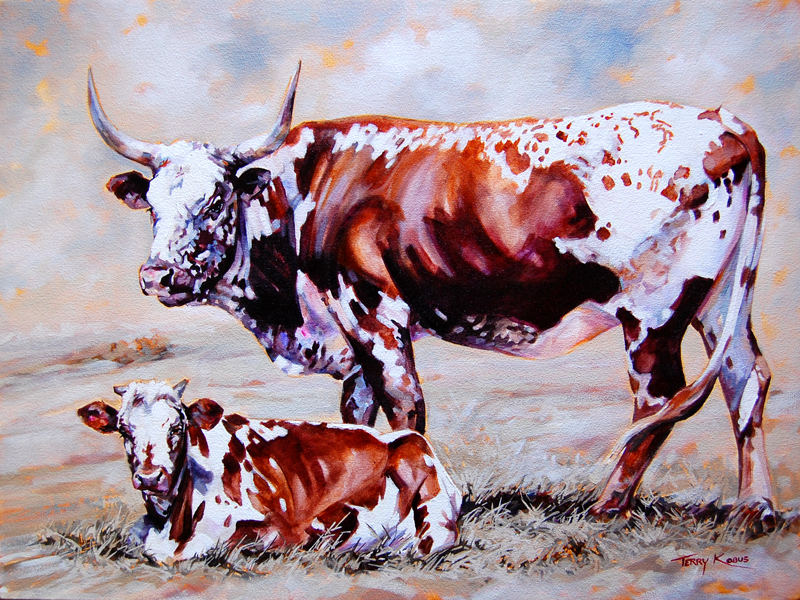 This recent painting captures one of those moments. 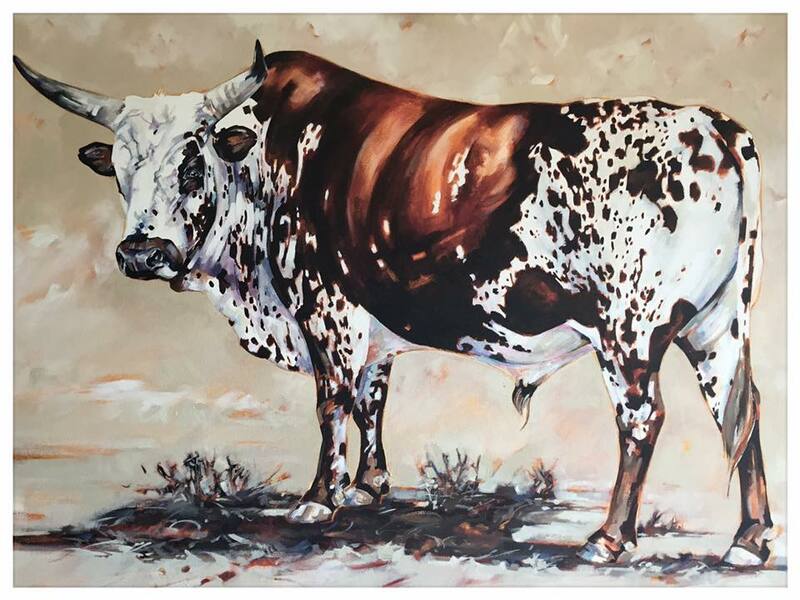 One of my recent large Nguni paintings, Oil on Canvas 1200 x 900mm was part of a solo exhibition at Bamboo Gallery in Johannesburg during October. 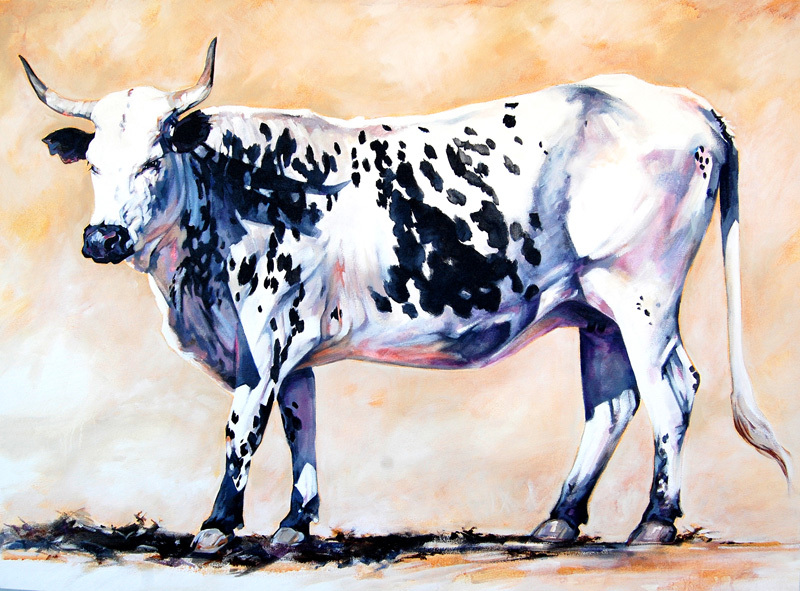 A large Nguni Journal painting of a beautiful bull I found at Mdumbi on the Transkei wild coast. 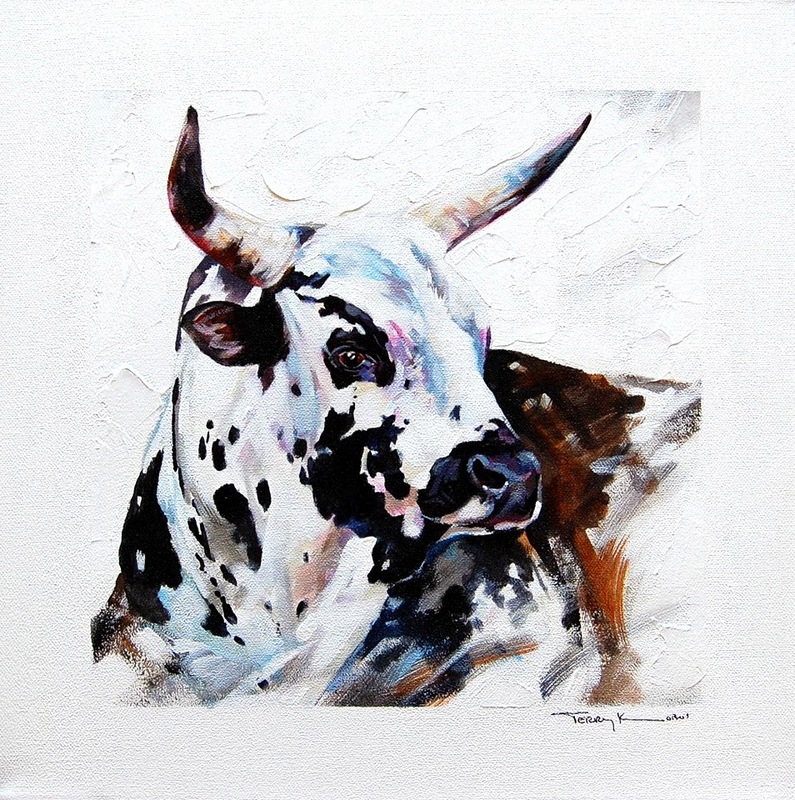 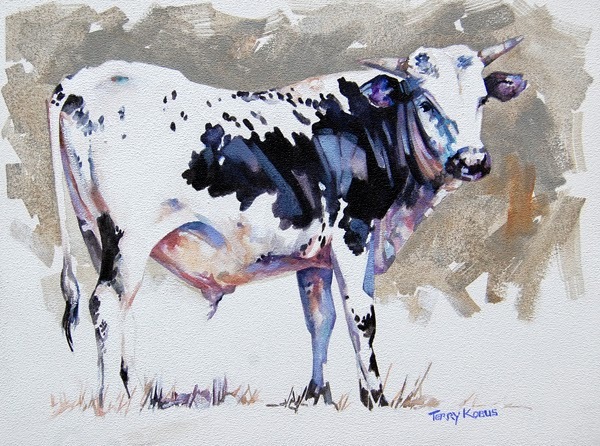 The painting depicts this magnificent Nguni Bull while the photographic narrative records the bulls "herd boy" and other Nguni Cattle in its herd. 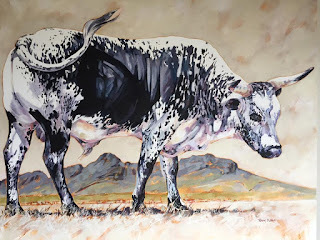 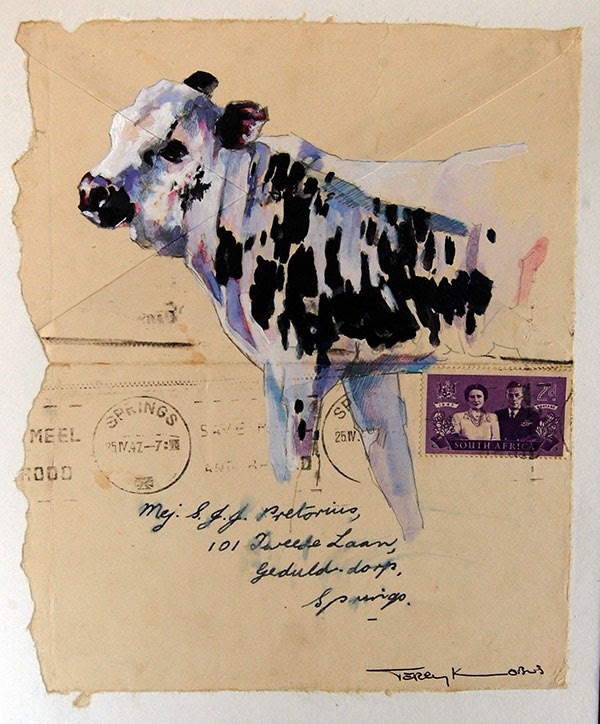 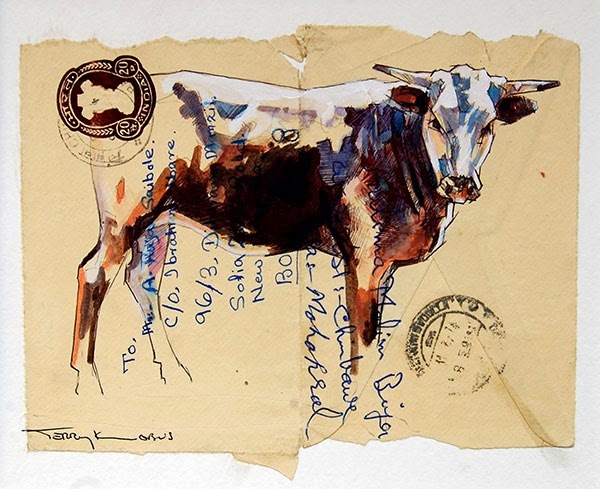 "Nguni Cattle in the Karoo"